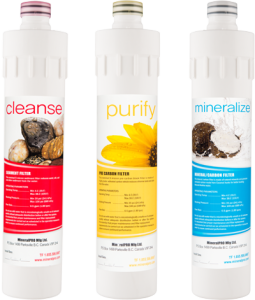 Please note the new #700 Filters do not fit in the original #100 series , for customers with our original 100 series systems that would like to update their RO system to the new 700 series for a limited time Mineral Pro will provide you with a new manifold for free (value of $150.00) with the purchase of a new set of 4 of the #700 filters, cost is $250.00. For those customers that have our UF system and would like to update to the new 700 series UF system, we will replace the UF Manifold for the modest costs of $25.00 ( value $150.00) with the purchase of a set of the three new 700 series filters for the UF System. MineralPRO carries a broad range of replacement cartridges, adapter kits and spare parts. You can order these parts right from our website or call us if you need advice on exactly the right fittings or parts for your healthy water project. UF Replacement Head Assembly with 3 x #700 series filters. Designed to fit exclusively with our new and improved 700 Series Ultra Flow filter systems these filters offer improved performance, more minerals and higher alkalinity, as well as the convenience of being able to change without turning your main water supply off. Simply flip up, twist a quarter turn and pop the old cartridge and pop in the new. Changes take less than a minute. 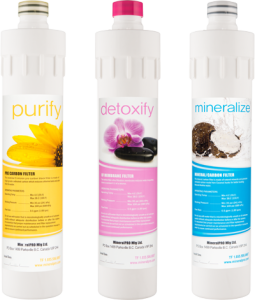 The MineralPRO Inline Mineral Filter Kit connects directly to most drinking water filter systems to provide great tasting mineral and alkaline pH balanced drinking water. 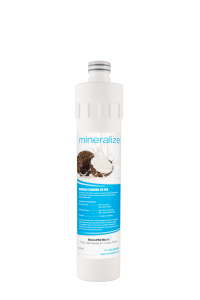 Use it as a standalone system to provide extra health giving minerals to your water or add it to an existing RO or distillation filtration system to replace minerals that are removed by the filtration process. 5 Micron sediment filter. 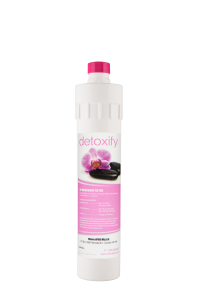 This Sediment filter traps sediment and other particulate matter, such as dirt, silt, and rust which affect the taste and appearance of your water. The filter is rated at 5 microns which is in the particle filtration category and is equivalent in size to milled flour. This filter is designed to be changed out every 6 months or 1350 gallons. 5 micron pre-carbon block water filter is made of high quality activated carbon. 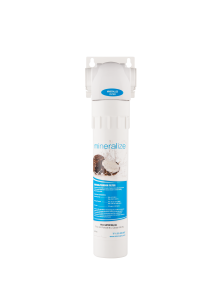 Mineral Alkaline Post Filter Replacement Cartridge for both UF and RO systems. Typically good for one year of usage. 50 GPD (Gallons Per Day) RO Membrane Filter. 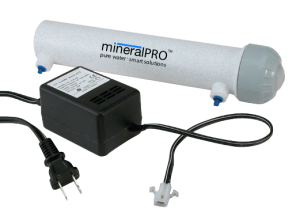 Compatible with the MineralPRO Reverse Osmosis System. 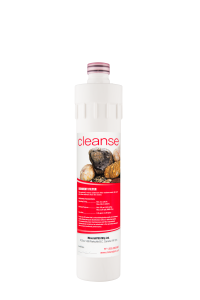 This semi permeable membrane will effectively reduce a wide range of contaminants such as Arsenic, Lead, Nitrates, Percholate, Chromium, Copper, Dissolved Solids as well as Bacteria Cysts, such as Giardia and Cryptosporidium. 0.2 Micron UF Membrane Filter. 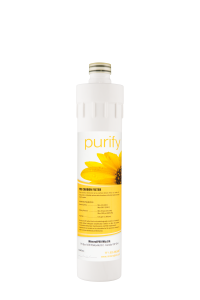 This ultra filtration filter uses Hollow Fiber Technology, a membrane filtration process which uses standard home water pressure to push water through its semi permeable membrane. Suspended particles and materials of high molecular weight are unable to pass through the .2 micron UF membrane. 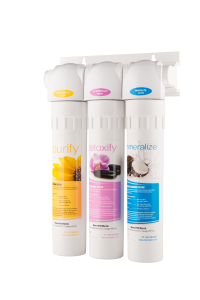 Replacement Cartridge pack for Ultra Filtration System. We recommend changing the UF filters ever 1350 gallons. 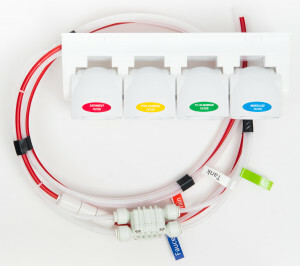 Annual Filter replacement pack for RO system. Heavy users or those living in areas with more highly polluted water supplies may need to replace more often. 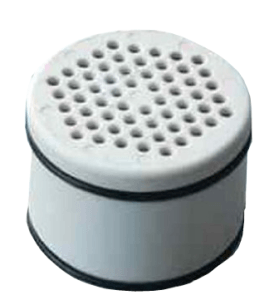 This shower head filter replacement cartridge fits both of MineralPro’s shower head filters – wall mount and hand held models.